Fire up your body’s natural calorie burn and peel away those extra pounds for good with this comprehensive diet and training program. Your fat cells won’t know what hit ’em. Lift heavy. The metabolism-boosting strength routine is split into two four-week phases. The goal throughout is to lift about 85% of your maximum load. By increasing your workload and lifting primarily heavy weights, you’ll build more muscle and torch fat all day long. Power up. Plyometric movements get your heart pumping and allow you to use more fast-twitch muscle fibers, so you pump up the calorie burn with every workout. 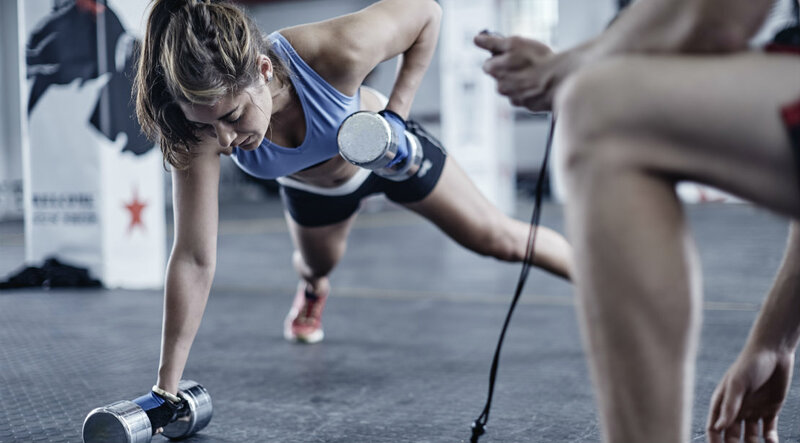 In weeks 5–8 of the plan, you’ll add more of these fast, explosive moves and high-intensity training, which has been shown to be more effective at trimming fat than steady-state exercise alone. Change up your cardio. You’ll perform two types of cardio workouts in both phases of this program. On Days 1, 3, and 5, you’ll do 45–60 minutes of steady-state cardio on a StepMill at 75% of your maximum heart rate. (If you don’t have access to a StepMill, use a treadmill set to an incline of at least 5%.) On Days 4 and 6 in Phase 1 of the program, you’ll perform 30 minutes of high-intensity interval training with your choice of cardio. Integrating both types of workouts will allow you to work different energy systems to maximize fat burning. †Performed on your choice of cardio machine. Strip off excess body fat and take your conditioning to the next level with metabolic circuit training.